Quality & innovation at an entry level price! 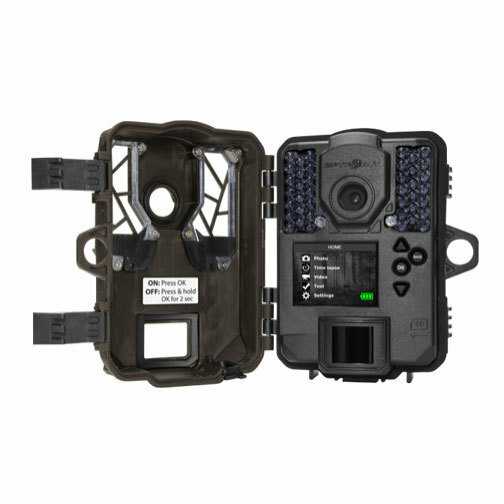 All the key elements for a good trail camera are covered for your next hunt. 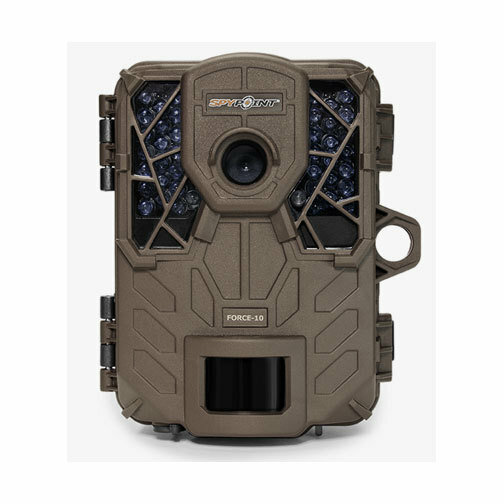 The ultra-compact SPYPOINT FORCE-10 trail camera captures 10 megapixel photos or HD video in color by day & black-and-white by night. The camera uses 42 high-power low-glow LEDs to offer the best night time images. It is the perfect camera to avoid disturbing or spooking your game. The curved motion sensor lens improves the detection angle and distance of its 5 detection zones. The detection range can also be adjusted from 5' to 80'. The camera has an incredible battery life when powered by 6 AA batteries and even longer when using the rechargeable lithium battery pack (sold separately).